A timeless classic, the traditional billfold style has endured for good reason. Combining utility with style, with this wallet looks great and always has what you need. Boasting eight card slots, two hidden pockets and a cash sleeve, this billfold design makes for a well organized daily carry. Take a step up for a more luxurious feel and add a goat skin lining to the cash pocket, or make things personal with a completely custom artistic design. Any way you cut it, this hand-crafted billfold will stand out and be unique to your taste. 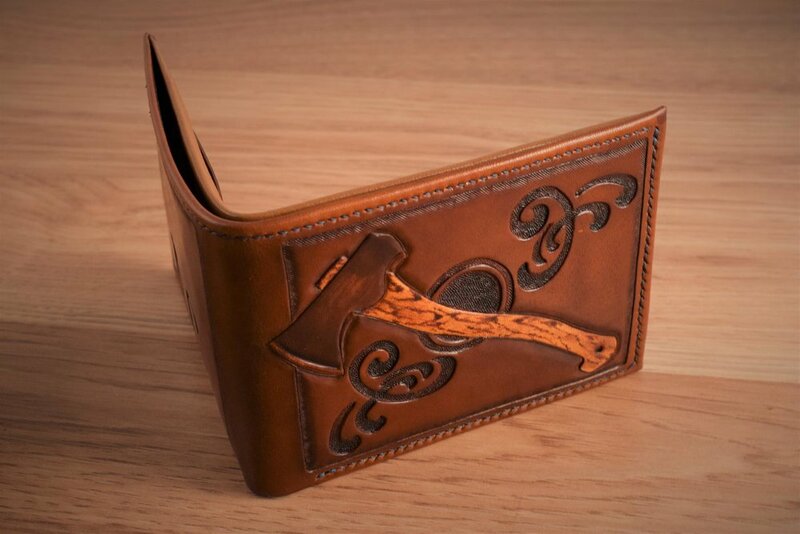 Begin the process of creating your hand-crafted billfold today.